Melasma, which means skin hyperpigmentation, is a very common skin condition. According to the American Academy of Dermatology, melasma affects an estimated six million people in the United States and is more common among women than men. Melasma interferes with the natural color of the skin and leads to the formation of brown patches on the face. 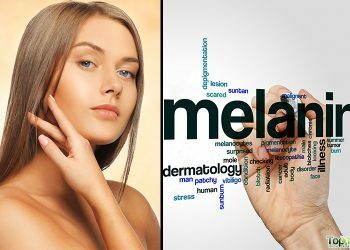 The main cause of melasma is excess melanin production in skin cells due to excessive sun exposure. 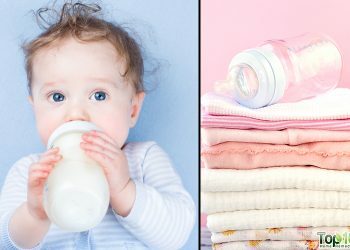 However, other factors also contribute to this problem, including hormonal changes in the body, excessive stress, toxins, thyroid problems and use of birth control pills. Often melasma is mistaken for freckles or age spots. But brown spots on the face due to melasma typically will be larger, darker and have irregular shapes. As brown spots on the face are a beauty concern for many, there are many medicines and treatment options available in the market. Before opting for such treatments, bear in mind they may have side effects. 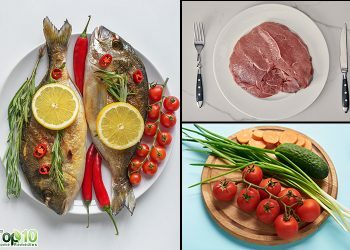 Instead, you can check your kitchen cupboards, spice cabinet and refrigerator for natural ingredients that can be used at home to treat melasma. These natural remedies will help you restore your skin color without side effects. 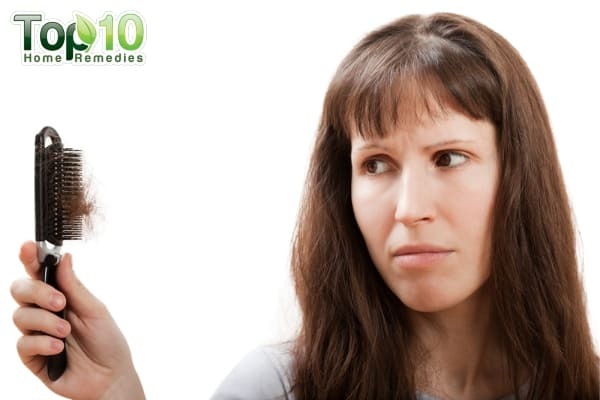 Here are the top 10 home remedies for melasma. Lemon juice is a natural skin lightener with superb astringent properties. The acidic nature of lemon juice also helps remove the outer layer of the skin, thereby eliminating a layer of the hyperpigmented skin. Extract the juice from one fresh lemon. Apply it on the affected areas and gently rub it around for one or two minutes. Leave it on for 20 minutes before rinsing it off with lukewarm water. Follow this remedy twice daily and you should see improvement within three weeks. The acetic acid present in apple cider vinegar makes it a powerful bleaching agent, which helps remove spots and make the skin much smoother and more radiant. Mix together equal amounts of apple cider vinegar and water. Apply this solution on the melasma spots and allow it to air dry. Rinse it off with lukewarm water and pat dry the skin gently. Follow this remedy once daily. Turmeric can also reduce the skin’s melanin and help combat melasma. 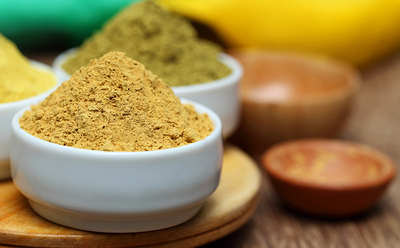 The active ingredient curcumin in turmeric spice has antioxidant and skin-lightening properties. Mix five tablespoons of turmeric powder with 10 tablespoons of milk to make a paste. It is best to use whole milk because it has lactic acid and calcium that helps exfoliate and soften the skin. Add one tablespoon of gram flour to thicken the mixture. Apply this paste evenly on the affected area. Allow it to dry for 20 minutes. Then rinse it off with warm water and pat dry with a clean towel. Repeat this treatment daily for best results. Onion juice is another effective home remedy to restore your natural skin tone. Onion juice has a range of sulfur-containing compounds that can fade dark patches or discoloration on the skin. Also, onion juice provides nourishment to the skin cells. Finely chop two to three onions. Put them in a piece of cheesecloth and squeeze it to extract the juice. Measure the onion juice and mix it with an equal amount of apple cider vinegar. Leave it for 20 minutes, and then wash it off with warm water. Follow this remedy twice daily for a few weeks. Due to the presence of mucilaginous polysaccharides in aloe vera gel, it can alleviate hyperpigmentation and restore your skin’s original color. 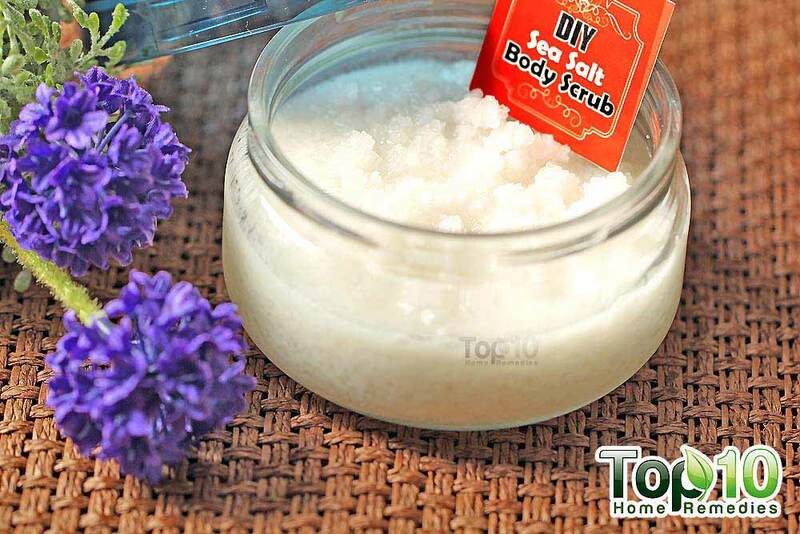 It can also remove dead skin cells and promote regeneration of new skin cells. Cut open an aloe vera leaf and extract the fresh gel. Apply the gel thoroughly on the affected area and gently massage for one or two minutes. Leave it on for 15 to 20 minutes, and then wash it off with lukewarm water. 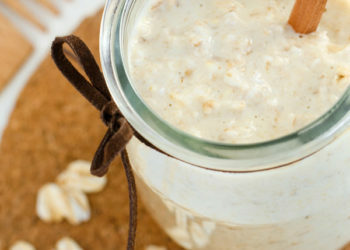 Oatmeal is an amazing natural exfoliating agent that can remove brown spots on the face and dissolve dead skin cells to give you brighter, glowing skin. Mix together two tablespoons of oatmeal powder, two tablespoons of milk and one tablespoon of honey. Wait 20 minutes and rub off the mixture with water. Pat your face dry with a clean towel. Do this two or three times a week for a month. 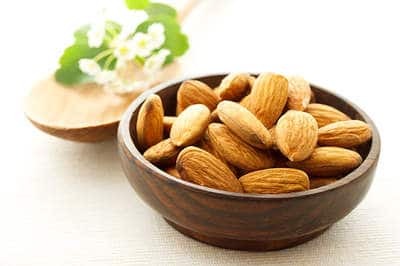 The high protein content in almonds has a skin-lightening effect. Also, almonds contain vitamin E that nourishes the skin and removes discoloration. Mix one teaspoon of powdered almonds with enough honey to make a thick paste. Gently rub the paste onto the affected skin and leave it on for 30 minutes. Rinse it off with lukewarm water and pat your face dry. Do this three or four times a week until you see improvement. Alternatively, grind five soaked almonds with enough milk to make a fine paste. Add one teaspoon of honey to it and mix well. Apply the paste on the affected skin before going to sleep. Leave it on overnight and wash it off with cold water the next morning. Use this remedy daily for two weeks. 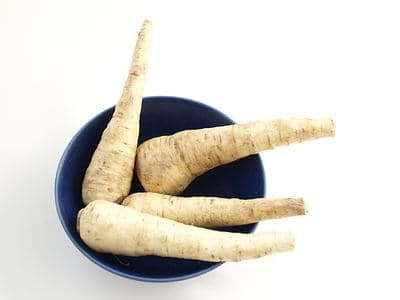 Horseradish is another traditional treatment for melasma. The bleaching property of horseradish will bleach out any kind of discoloration of the skin, including melasma. Cut horseradish into slices and rub it directly on the affected skin. Allow the juice of the horseradish to dry on its own. Then rinse it off with lukewarm water and pat dry. Repeat once a week until the brown patches fade away. Mix two tablespoons of horseradish powder in one cup of sour cream. Apply it on your skin and leave it on for 30 minutes. Then wash your face with lukewarm water. Do this once a week until you see positive results. 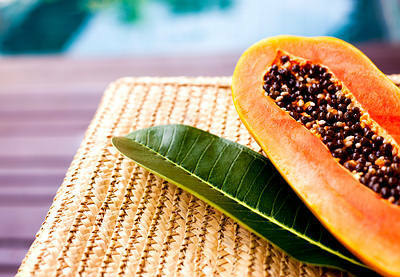 Papain, the enzyme found in papayas, is a natural exfoliating agent that can eliminate dead and damaged skin cells. Mash a ripe papaya to get a paste-like consistency. Add two tablespoons of honey to one-half cup of the mashed papaya paste. Apply it as a mask over the affected skin area. Leave it on for about 20 minutes, and then rinse it off with lukewarm water. Follow this remedy once a week for several months. Sandalwood is another effective skin-lightening ingredient that can enhance skin complexion and reduce the signs of melasma as well as other types of blemishes. Mix equal parts of sandalwood power, turmeric, whole milk and lemon juice to make a thick paste. Apply the paste on the affected skin and allow it to dry on its own. Splash some water on your face to moisten the mask and scrub it off in circular motions. Finally, rinse with more water and pat dry. Follow this remedy three or four times a week until you get the desired result. Along with the melasma remedies, you must limit your exposure to the sun for prolonged periods of time. Also, remember to use sunscreen when you go out to protect your skin from harmful ultraviolet rays. Plus, eating high-fiber foods and drinking plenty of water will help get rid of toxins and treat melasma. l like this article very much and get invaluable knowledge. 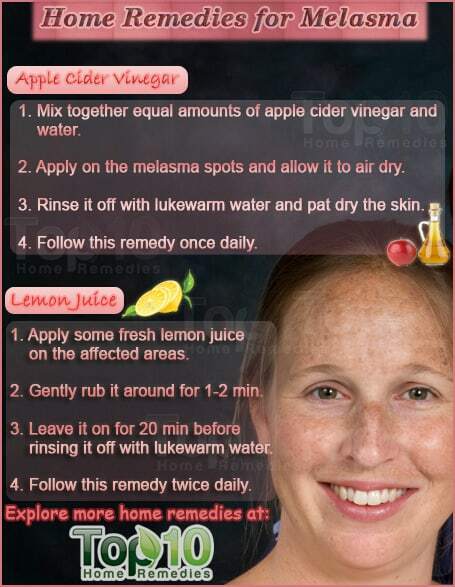 Thanks alot for this advice..I will try this..
Did it remove the brown spots completely? did u put slices of onion or just the liquid on ur face. Can you use the lemon juice that comes in the little lemon looking bottle? Thanks! the sun could only reveal the damage that exist. there is a huge confusion between what the sun does and does not do. The sun can only add to the color of the damaged skin that is already there. I strongly believe it’s a hormone problem if the onions help is because it detoxes at skin level. Hi,I am pria from india.melasma is very common amongst Indian women.i am suffering from it from past 3years. I have wasted lot of amount on chemical peels,but it didn’t work for me. Then I started protecting my skin from direct sunlight with the help of sunscreen and scarf.it really showed improvement.so I would suggest to all women,who deserve to be always beautiful that please use sunscreen with at least 40+spectrum and cover your face with cotton scarf.beside this don’t touch the skin of your face more often.at night allow your skin to breathe and to sweat-for this wash your face with any mild face wash and sleep without Applying anything on face.yessss”secret revealing “-himalaya bleminor cream.affordable,and can switch it anytime without any side effects….be natural and beautiful!!!! Can I use a combination of these? Like 1, 2, 3 all in one day? Can i use a combination of these? Like 1,2,3?